Hannibal is a name that evoked fear among the ancient Romans for decades. 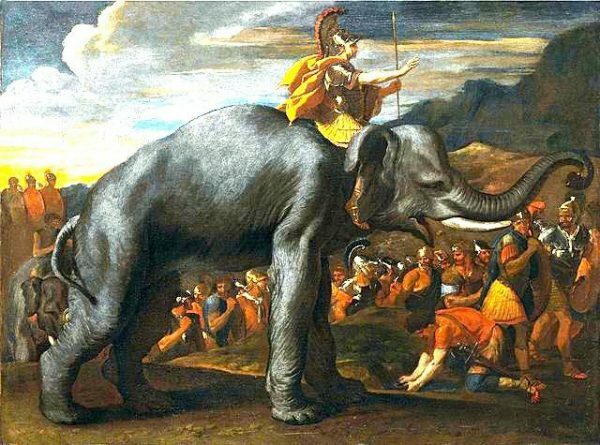 His courage, cunning and intrepid march across the dangerous Alps in 218 BCE with his army and war elephants make for some of the most exciting passages found in ancient historical texts written by Polybius, Livy, and Appian. And they continue to inspire historians and archaeologists today. The mystery of his exact route is still a topic of debate, one that has consumed Patrick Hunt (Director of Stanford’s Alpine Archaeology Project) for more than a decade. This course examines Hannibal’s childhood and his young soldierly exploits in Spain. Then it follows him over the Pyrenees and into Gaul, the Alps, Italy, and beyond, examining his victories over the Romans, his brilliance as a military strategist, and his legacy after the Punic Wars. Along the way, students will learn about archaeologists’ efforts to retrace Hannibal’s journey through the Alps and the cutting-edge methods that they are using. Hunt has been on foot over every major Alpine pass and has now determined the most probable sites where archaeological evidence can be found to help solve the mystery. This course on the great military leader will be added to our collection, 1,300 Free Online Courses from Top Universities as well as our specialized list of courses on Ancient history, literary and philosophy. If you live in the San Francisco Bay Are, you'll definitely want to check out the courses offered by Stanford Continuing Studies (where I also happen to work). The program also regularly offers online courses, for students living anywhere on this planet. how can i start off the 1200 courses. Interested in a master class on line. I could not find the video. I was not sure if I pressed the right button. thx!